We have all those little things you need to take home with you to complete the Red Sky Stage experience. Keep that Red Sky Stage spirit with you wherever you go and let the people you meet know that you appreciate the best in Northern Michigan performance art. Wear Red Sky Stage baseball caps and t-shirts in an assortment of sizes. Pick some up next time you attend an event at Red Sky Stage at Downtown Petoskey's informal, coffee-house style performing arts venue. If you are in the area during the day and Red Sky Stage is closed, just go across the hall to the Northern Michigan Artists Market. They can help you select and purchase our exclusive sportswear. How would you like to be able to listen to your favorite music from Red Sky Stage and Red Sky Stage Internet Radio at home, in your car or virtually anyplace else? Well, you can. The Northern Michigan Artists Market has an excellent selection of CD's by Red Sky Stage musicians. The Artists Market is conveniently located right across the hall from Red Sky Stage at 445 East Mitchell Street in Downtown Petoskey. 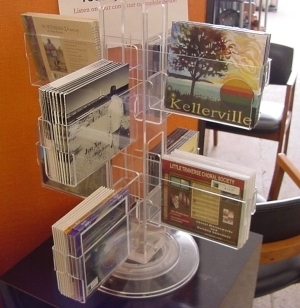 Stop by the Artists Market any time (they are open every day) and check our their CD's. You can also call the Artists Market at 231-487-0000 or purchase CD's from their online store. When you buy a CD by a Red Sky Stage artist from the Artists Market, you not only help out that artist but you also support the work of the Artists Market and Red Sky Stage in making the works of local Northern Michigan performing and visual artists available to people in our community.